FAS Pilot Academy is one of the oldest EASA Approved Training Organizations (ATO) for Pilots in Greece, demonstrating for more than 15 years, vast knowledge, experience and expertise in the sector of pilot training. FAS Pilot Academy holds the Approval Certificate No. GR-ATO-103 in compliance with the EASA standard and specifically Part-FCL. Our Pilot Academy operates under the EU laws and the regulations of the European Aviation Safety Agency (EASA) and the Hellenic Civil Aviation Authority. 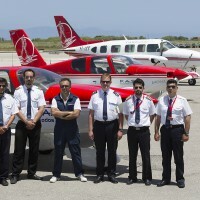 FAS Pilot Academy has premises and facilities on the island of Rhodes (International Airport), Attica/Megara (Pachi Airport) and Attica/Markopoulo (Ground School premises) and Attica/Athens (Commercial Dept.). The weather in Greece is ideal for flight training. For 320 days approximately per year, the weather conditions in all our training locations are ideal for flight training due to perfect weather conditions. FAS Pilot Academy owns a fleet of aircraft able to cover all needs of our trainees and in conjunction with the vast experience of our flight and theoretical instructors in the planning of the training, FAS Pilot Academy guarantees that the training of our air cadets will be conducted without any unnecessary delays due to prompt aircraft availability. Safety is our first and most important priority. The flight safety levels are among the highest in Greece since Fanourakis Aviation Services SA holds approval certificate to act as maintenance organization (Part-145) and also holds approval certificate to act as continuing airworthiness management organization (Part-M). 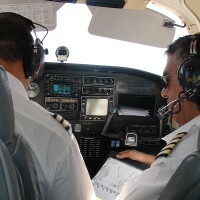 In additional to the EASA approvals and related quality systems FAS Pilot Academy applies a quality management system in line with standard EN ISO 9001:2008 for the scope of the provision of training services of professional pilots of aircrafts with reference certification number 010160158, by TUV Austria. FAS Pilot Academy’s established reputation in pilot training incorporates Commercial and Air Transport Pilot Licenses, plus, Airbus A320 Type Rating. The licenses and certificates are awarded to the successful graduated students and due to the EASA Standard are globally recognized. Our graduates are able to build a successful career in the aviation industry. FAS Pilot Academy also holds a certification that meets all the quality criteria of ICAO Language Proficiency requirements for TOEFA © Examination (Test Of English for Aviation), and hence is an approved ICAO / TOEFA © Examination Centre. Good school. Very pleasant instructors, very helpful personnel. Haven´t had any issues through out the whole training time. You can get support in any concerns, highly recommended. Good School and very good instructors they had a lot of experience. Best aviation school with experience instructors!!!! Dear friends I am not happy about this company.Because they are not honest people.My advice to you is Check out the other school.